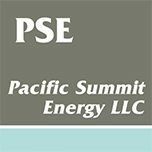 Pacific Summit Energy LLC (“Company” or “We”) respects your privacy and is committed to protecting it through our compliance with this policy. This policy describes the types of information we may collect from you or that you may provide when you visit the website www.pacificsummitenergy.com (our “Website“) and our practices for collecting, using, maintaining, protecting, and disclosing that information. No one under age 13 may provide any personal information to or on the Website. We do not knowingly collect personal information from children under 13. If you are under 13, do not provide any information on this Website or on or through any of its features or provide any information about yourself to us, including your name, address, telephone number, email address, or any screen name or user name you may use. If we learn we have collected or received personal information from a child under 13 without verification of parental consent, we will delete that information. If you believe we might have any information from or about a child under 13, please contact us at info@pacificsummitenergy.com.